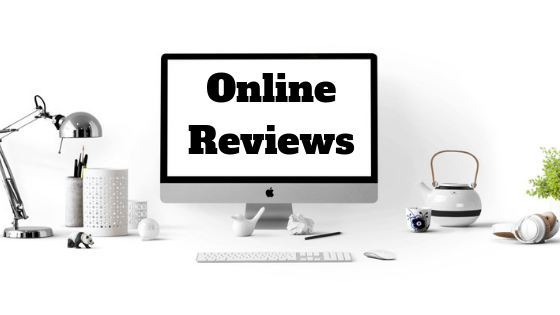 The very first step to getting on board with the current trend of online reviews is written in the term itself: Going online! If you don’t have a personal website or homepage, a Facebook or Instagram page, creating one is not only a good idea, but a must. You want to boost your business’s visibility on the web as well as increase your services’ accessibility. One efficient way of doing is to adopt an online booking platform (We hear GOrendezvous is very friendly 😄). Not only will it facilitate the booking process for both you and your clients, but it can also allow you to automate the communications you send. Indeed, you can configure it so that after an appointment, an automatic email is sent to your customer thanking them for their visit and inviting them to review your service. This is a great way to encourage your customers and get them to write reviews. Many of them are more than satisfied with your services, but don’t think of leaving a review on your website or social media page on their own. An automatic email will give them the small push they need, help you stand out by getting more reviews and ultimately, pull in all those potential clients roaming on the web to find the #1 professional in your field. Here at GOrendezvous, our statistics show that 40% of clients will give a rating, and 10% will write a review with an average rating of 4.9 out of 5. Obviously, if two of your most loyal customers leave excellent reviews on your online scheduling platform, it’s a good first start. But, it’s not enough. Even though they are positive reviews, having a small amount of them won’t fully satisfy your potential clients. Indeed, consumers read an average of 10 online reviews before feeling able to trust a local business. If they come to find less than 10 reviews on your onl ine platform, chances are they won’t be very impressed and may have second thoughts, leading them to pick a business that has more reviews rather than yours. However, you probably have more than 10 customers, and way more than two loyal customers. The only thing left to do is to turn these customers’ word-of-mouth into written words, by getting them on their keyboards or cellphones so they can type away and share all the amazing things they have to say about you! Another important aspect is the consistency of your online reviews. Make sure that they keep coming in and that your last ones don’t date from months or years ago. Did you know that 40% of consumers only take into account reviews written within the past two weeks? If your oldest clients have already reviewed your services a while ago, don’t hesitate to follow up and encourage them to write new reviews. You probably have effortlessly been working on perfecting your business over the years, and who else to better witness that than the customers that have stood by you since day 1? They probably have brand new things to say about your business that will come straight from the heart, and those are the best kind! However, make sure your reviews stay consistent. You don’t want an excellent review to be followed by a mediocre one. If you know that one of your clients is a tough critic, ask for his personal review and feedback orally, but maybe deactivate the communications sent to him to avoid a public review that is unrepresentative of your services. Online reviews are the new word-of-mouth and we all know how important these are in maintaining a business’s reputation. If you don’t use an all-in-one online scheduling platform or don’t have a personal website, creating one should become your top priority. With an online booking platform, you can rest easy and automate the thank-you emails sent to your clients, allowing them to review and rate your services in one single click. To take it one step further, through the use of an online booking platform, you can also send out customized surveys to your clients after their appointments. That way, you can obtain more detailed comments on particular aspects of your business and services and make sure you always stay on top of your game.